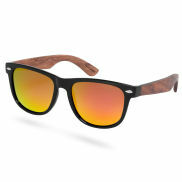 Very stlyish and comfortable sunglasses!! Very happy with this purchase. I’d recommend them for anyone to get but I also like to have a unique pair to stand out.